CardioScan is a premier medical service company that provides the most accurate Holter Reports in the industry within a matter of hours, not days. Located in the heart of the Houston Medical Center, CardioScan has specialized in Holter Monitor Analysis for over 20 years. 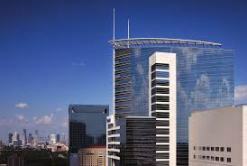 CardioScan is the premier cardiac monitoring company located in the heart of the Houston Medical Center. We guarantee your analyzed reports to be available to you in a matter of hours, not days. We provide the most accurate arrhythmia analysis in the industry. We provide over twenty years of arrhythmia analysis experience. Our systems utilize state of the art digital monitors that allow us to identify the most difficult arrhythmias in your patients. Scheduled stat reports are available in less than 2 hours! We will customize a service agreement to your exact needs utilizing your monitors or ours. Our HIPAA compliant data transmission systems allow a simple and quick way to get your patient's data to us for quick turnaround and analysis. Our services are available to clients immediately. Installation and training can be completed in a matter of minutes.